One of the activities promoted by El Celler de la Muntanya, a winery and oleic Muro de Alcoy (Alicante) that has no vineyards of its own, is the micro vineyard Project. This is a project that seeks to promote the planting of vineyards in the region of El Comtat in small agricultural plots and advised by the same winery in order to produce quality wines. Thanks to the enthusiasm and conviction of the project promoters tends to think and its fruits, both in the reception of farmers and the first production of wines, red and white Almoroig and Albir and having been widely accepted by specialists. The framers of the project, alongside Toni Boronat and Juan Cascant (Celler de la Muntanya) advised by the Priorat group led by Jose Luis Perez Verdu (Marc and Adrian) has coalesced into a coherent project and cost within the idea of making profitable small farms in the Mediterranean area. This morning I visited Muro de Alcoy and I found this weekend in RNE (Radio Nacional of Spain) devoted its meeting on Saturday and Sunday morning to this project among other agenda items "No es un día cualquiera". Ah! and with regard to the wines from this winery, tell them Almoroig in red wine made by the winery within the project, I must say I tried it this past summer and found it an excellent wine, very expressive nose, with fruity especially red fruit and some toasty. Flavor good attack, very strong, with an expressive tannin and some mineral or earthy, a wine to leave a couple of years in bottle. The rest go wine tasting and my references that you may have and look forward to this promising project that aims to be a benchmark in the sustainable economy of this country. 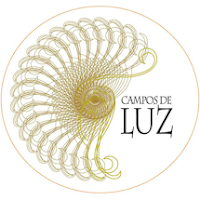 Last Friday, on a visit by one of the stores where they usually buy wine in Valencia and looking for a single variety of Grenache in the area of Aragon, I found a bottle of just over 3 euros Campos de Luz, Garnacha, 2007 and DO Cariñena.. The wines of this area have always been characterized by being distributed in bulk, but in the last decade, exports almost 70% of them to external markets and after my reading of a book on wine tourism in the area of Aragon and knowing the freshness and Grenache the fruit that gives the wines I decided to buy it. It is a young wine of 2007 without aging with a label that evokes a carved fossil ammonites and highlights the word Light. Researching the net I discovered that this is a special edition Martin Esteban holds Alfamen (Zaragoza) commissioned by a specialized website called Vinergia. The wine has a rich and brilliant deep ruby color in glass nose to stop already see a touch of fruit, fruit cup is agitated denotes maturity and a memorial to black pepper. The mouthfeel is dense and takes on a tone of strawberries, cherries and ripe blackberries, with very velvety on the palate highlighting its soft tannins. It is a wine to enjoy a meal made with white meat some dry fruits such as raisins or plums (pork tenderloin stuffed with prunes, chicken stuffed with raisins and nuts, ...), and perfect to accompany a good paella valenciana. On my first trip through the region of the Priorat (Catalonia) last year, before the Wine Show, on his way to the beautiful city of Siurana, located atop a cliff with a spectacular charm, I went through the Cooperative Cornudella del Montsant, with the intention of tasting a wine, then buy it. My surprise is that it was closed too soon, and I kept wanting to try the famous Garnatxa del Montsant. The Garnatxa of Montsant wine is a traditional liquor made from overripe grapes. After separatingthe stem and crushed, fermented dough to purchase a minimum natural alcoholic strength of 12 per 100 vol. Then it bleeds, press, filtered and wine alcohol leads to reach 15.5 per 100 vol. of an alcoholic strength by volume and up to 20 per 100 vol. It is aged in oak barrels. A liqueur with very suggestive Appellation with not too pronounced sweetness and a light pink wine reminiscent of some family land, which in many peasant homes offer you your own, is doing great comes with eating walnuts, almonds and hazelnuts, as a dessert wine complements these nuts. The nose is reminiscent of rosemary honey, with an aroma-impregnated wood alcohol. Flavor sweet, velvety, with a touch of acidity, which does not slobber. The aftertaste of oak, ripe strawberries and bush spices (rosemary and thyme) makes delicious to the palate and lasting. By the way, he brought my brother in his new year trip through the lands of the Priorat and telepathy as if we call ourselves both at once without knowing me, that was about the land, and to ask him to dine and to visit . Certainly if you visit Siurana eat in the Venta del Pubill, before passing through Cornudella de Montsant and enjoy the homemade food and Montsant wine. Vinification is carried out in stainless steel tanks at a temperature of 25ºC for two weeks. The maceration of the skins is subject to a meticulous control to extract the best expression of the varietal. It is aged for 8 months in French oak barrels. The barrels used are medium toasted, which allows very smooth and elegant wines to be produced. Tnis delicious Shiraz has an attractive cherry red colour with garnt iridescences. Its bouquet reveals a combination of deep aromas of wild fruits and violets, enveloped in light toasted notes. On the palate it is warm, with smooth tannins and spicy finish, and a balsamic aftertaste with blueberry hints. Venta del Puerto n º 12 and Les Alcusses are 2 wines from DO Valencia 'Alto Clariano' wines inside the province of Valencia. Quality wines and a 'blend' of carefully tended vineyards and thrilled by the winemakers of the area by placing the DO Valencia on the international scene of the wines. The first of these, Venta del Puerto n º 12, is made in the Cooperative La Viña, de la Fuente de la Higuera, home of the famous Valencian painter Juan de Juanes. This is a 'blend' of cabernet sauvignon, merlot, tempranillo, syraz and old vines. This wine is clean and bright, dark cherry red color with touches of Cardinals. The 12 months of aging in American oak give it a ripe black fruit aromas, raspberries and blackberries, sugary notes, to busy drink can notice a roasted flavor, chocolate and mineral somewhat notorious tone. In the mouth it has fleshy, sweet tones, pronounced tannin, with integrated acidity that highlights the presence of ripe fruit. Fruity aftertaste and long, powerful and very pleasant. A recommended wine with a price ranging between 8 and 9 euros. Les Alcusses, the younger brother of Maduresa, fruit of the effort and work of Pablo Calatayud, the architect of the wines from Celler del Roure in Moixent, presents a fabulous assemblage of Monastrell, Syrah, Merlot, Cabernet Sauvignon and Tempranillo in a broth who, having grown about 4 months in barrels, after a second malolactic fermentation, does not detract from one of the highest notes in the wines of new generation. We present a nearly opaque cherry color with aromas of ripe black fruit (currants, blackberries, plums, ...), with some aromas of charcoal and coffee. In the mouth has a good entry, with tasty, elegant, velvety, well balanced, good acidity and tannins well integrated. Long aftertaste, quite fruity and gourmand persistence. We also talked about a price between EUR 8 and 9, same as above, but with the difference that a wine is young and adapted to the taste of our day, combining in perfect marriage to a dry rice, baked rice as a typical La Costera area in Valencia PROVINCE.